The history of arms and armament goes well back into human history and shows a constant race to create more powerful weapons and more effective armor. While we don’t see this so obviously today, it was extremely obvious when we look back at the Middle Ages, where there were massive shifts in the types of weapons that people used (especially the sword) as well as the armor they used to protect themselves against those weapons. The height of this armor race, at least in the Middle Ages, was the creation of plate mail. We’ve all seen this in the movies: knights in shining armor mounted on huge horses and riding off to battle or jousting in the arena. It makes for quite an impressive sight – even more so to the peasants who were there in the battle without any armor on. There are just a few problems with this picture. 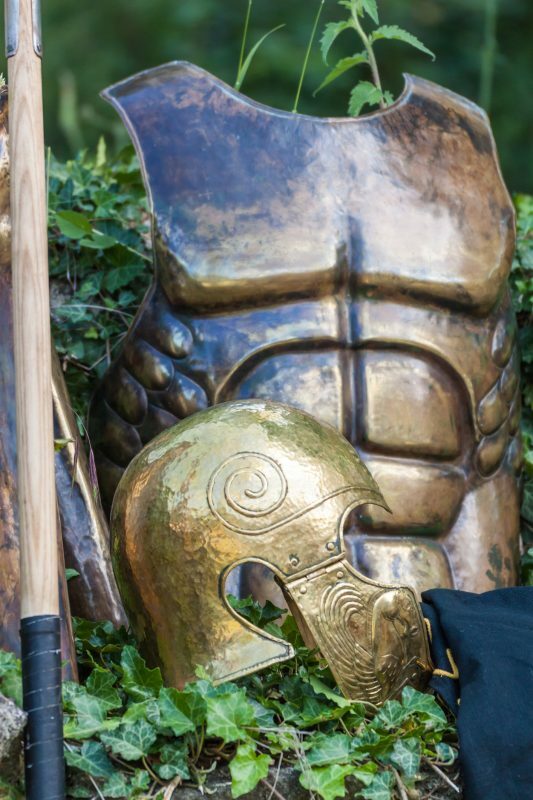 First of all, making such armor was an extremely tedious process and required long hours of work from the finest blacksmiths. Hardly anyone could make it, especially as it required hammering steel out into sheets by hand and then shaping the curved pieces into their final form, which usually involved compound curves. This was perhaps the most complex blacksmithing work of the day. Such work was costly: so costly that only the wealthiest could afford full suits of armor. 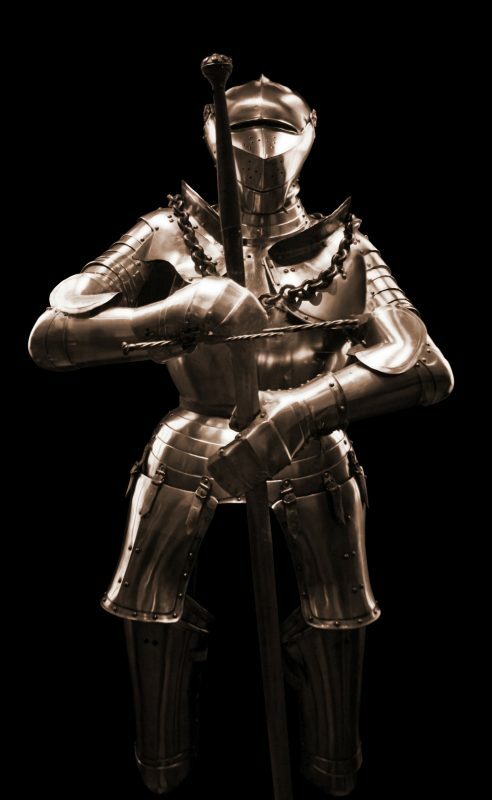 It was much more common for lesser nobility and knights to wear a helmet and breastplate along with chain or leather armor to protect their arms and legs. This still offered quite a bit of protection, but not as much as full plate armor. 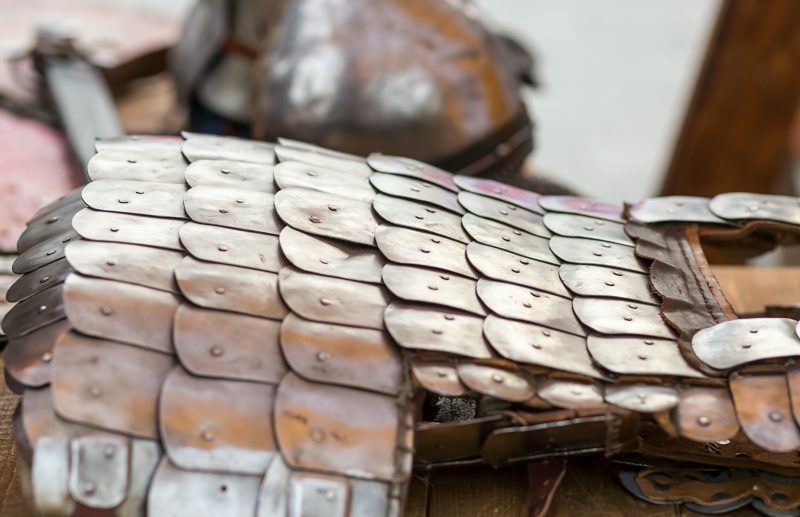 We have a lot of misconceptions about plate armor. You’ve probably heard that the plate mail of the day was so heavy that knights could hardly move and needed to be lifted up to their horses by a crane. But recent research tells us a different story: while much of the armor was probably heavy, some of it weighed as little as 35 pounds for a suit. Misconceptions have also risen about the armor’s weaknesses. Weapons like the morning star and the halberd were supposedly created specifically for the purpose of treating the knight in shining armor much like a lobster: for breaking open the shell to get to the “meat” inside. But that wasn’t the case. The weaponry of that time actually couldn’t pierce through plate mail. The only way to get to the person inside was to knock their helmet off or to get in through a joint in the armor. Of course, that still left options to kill the knight if one could unhorse them and get them on the ground. So most of what was done with the halberd and other polearms was more an attempt to unseat the knight from his horse and get him on the ground. If they could get him on the ground – even better, to get him on the ground without a weapon in his hands – he was vulnerable. If the knight was unhorsed and standing, armed and able to fight, he was still mostly invincible. The armor was formed in such a way that the joints overlapped. Individual pieces were held together by leather, which was, in itself, hard to cut or tear. Directly stabbing or cutting the armor was virtually impossible with the weaponry of the day. Because of the hard steel material and the shape of it, blades were deflected away. In order to get through the armor with any sort of blade or piercing weapon, one would have to be able to get at an angle that allowed them to slip their weapon into the crack under one piece and over another. Then, and only then, would they stand a chance of getting to the person inside. A number of blunt force weapons were used as an alternative way of attacking knights in armor. 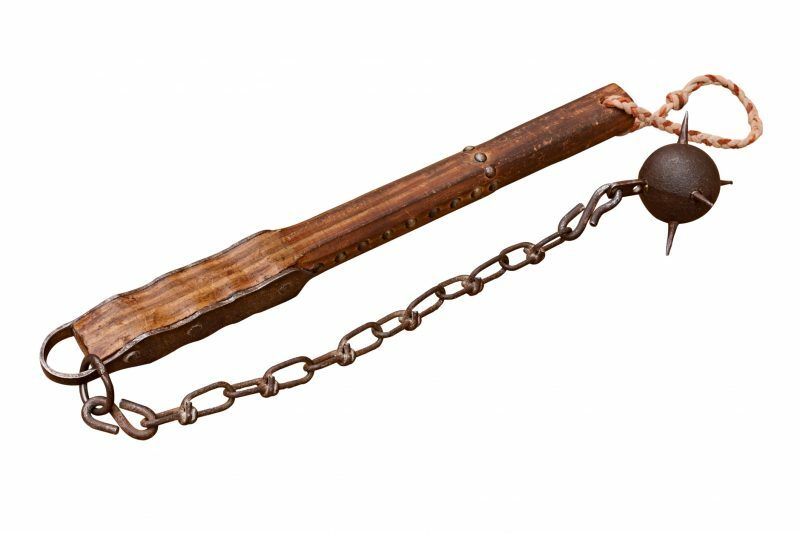 War hammers, maces, and morning stars (a spiked ball or pair of spiked balls on a chain) were intended to dent or crush the armor with the idea of smashing it into the person wearing it. The shape of the armor mitigated against this because almost all of the pieces were convex curves and domes, which are hard to crush. It would take a lot of force behind those weapons to do any damage. The other weapon that was used to combat against plate mail was the crossbow. 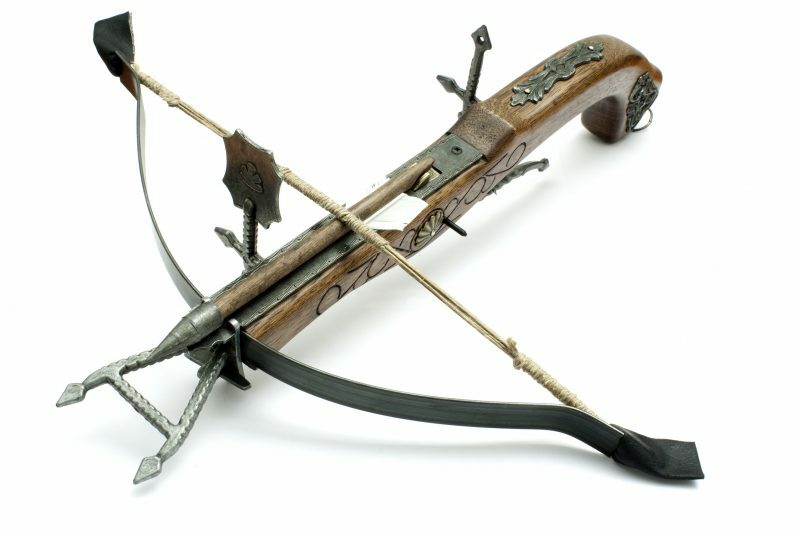 Crossbows actually existed long before plate mail and were used against other types of armor. 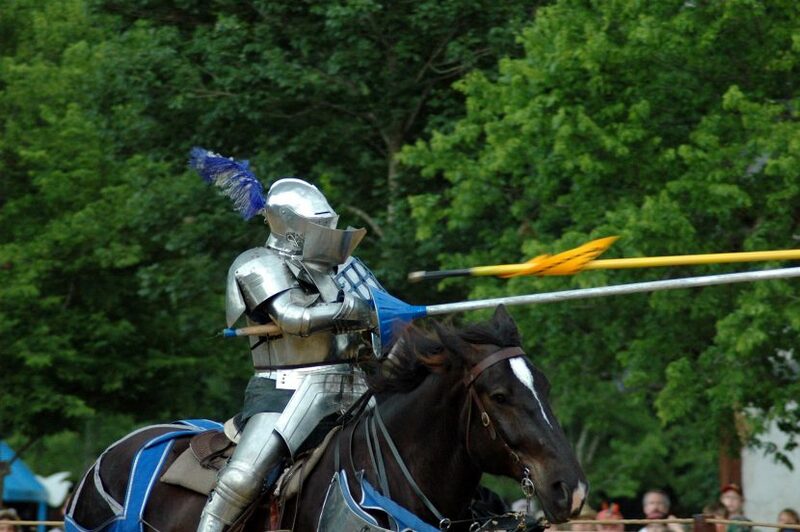 However, they were largely ineffective against plate mail unless the archer was fortunate enough to hit the armor head on, in such a way as to have the arrow directly perpendicular to the armor in all planes, from close range. I’ve seen tests of bolts fired from crossbows against reproduction plate mail. While there were some penetrations of the armor, they were minimal – perhaps a half an inch. Considering that people would have worn heavy quilted garments underneath the plate mail, the point of the crossbow bolt would most likely be trapped in this garment instead of piercing the person’s skin. There were two things that made plate mail so effective in Medieval warfare: the durability of the armor itself and the fact that the entire individual was covered with no parts left exposed. Coupled together with the fact that the person wearing the armor was fighting back, there was little anyone could do against a knight in plate mail. Our fighting situation is considerably different today in a number of ways. First of all, we fight with guns rather than with the weapons they used back then. Guns have much more penetrating power than the greatest crossbow or the greatest sword can yield, and this makes them much harder to defend against. Our armor is very different too. While we do have ballistic armor available to us which will stop bullets, it only covers the main part of the body. In a way, this makes sense as everyone is trained to shoot a center target, but we need to realize that the rest of our body is vulnerable as well. Considering that anyone shooting at us might miss, there is actually just as much chance of getting hit in another part of the body as there is of being hit on our armor. If there was a way that we could make ballistic body armor that covered us completely, like what they had back then, it would be advantageous. But because we can’t, we must always remember that we are vulnerable even if we have armor on. We must use whatever else we can to help ensure that we don’t get hit.